Mongolia remains one of the more mysterious countries of the world. It’s small population of 2.9 million, spread over a land mass the size of western Europe, are best known for being nomadic herders living in traditional felt houses or “Gers”. Many depictions of Mongolia in films, photos and books focus on the vast green rolling landscapes, the horses, big blue skies and the cattle that are the basis of rural lifestyles. 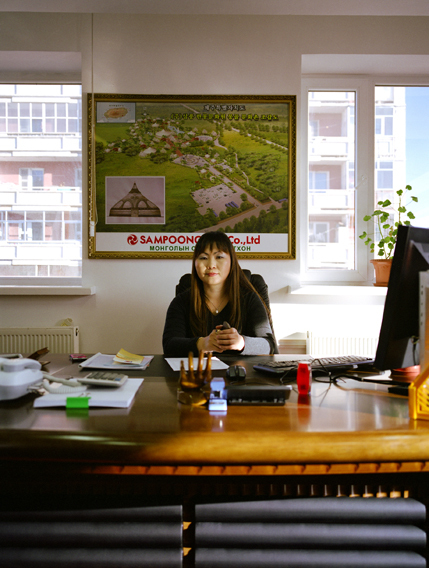 In today’s Mongolia, however, half of the population are living in an urban environment – mostly in the capital city Ulanbaataar. 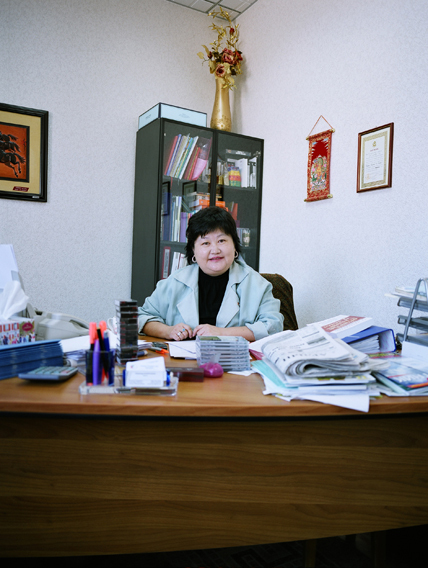 Mongolian urban society was largely developed during the soviet rule between 1921 and 1990. During this time mass industrialisation took place creating many infrastructures that still exist today. In keeping with the Soviet attitude that women are a valuable part of the workforce, Mongolian women received the right to vote in 1924 and began to have equal access to education. 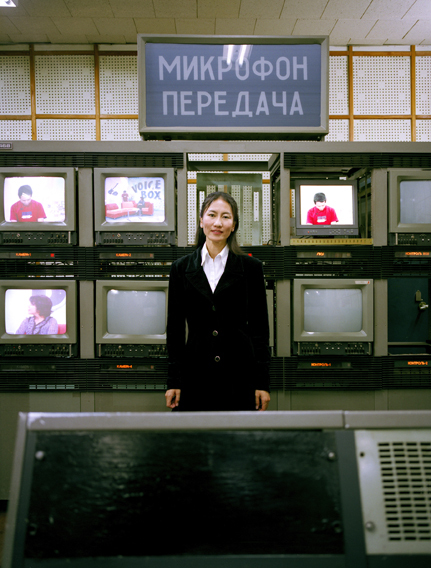 By the time the soviets left in 1990 there was a reverse gender gap at all levels of education and with the exception of a few employment sectors, women were key figures across the workforce. 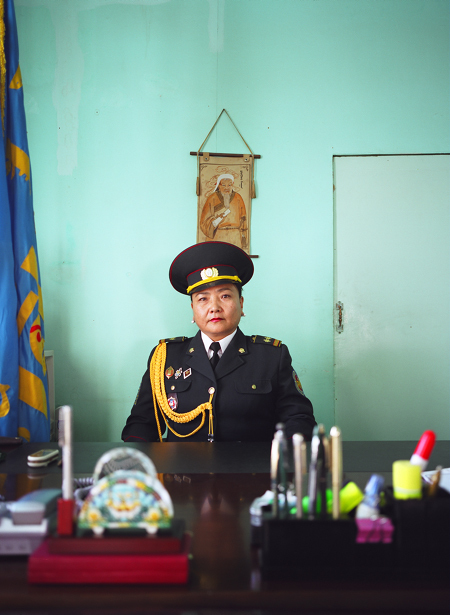 This portrait series depicts an aspect of modern Mongolian society that is – to most – a little unexpected. It shows a variety of women who work in professional roles in different sectors. All of the women in this book were photographed in their workplace in Ulanbaataar and have studied to BA level or higher in fields relating to their work. 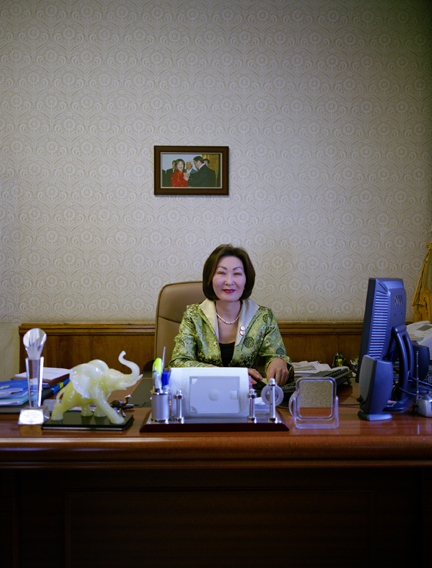 Although the gender equality in Mongolia is higher than in most other Asian counties there is a clear sense that there is “much more to be done” when discussing the situation with Mongolian women. Many believe that the transition from a communist state to a free market economy in 1990 has revealed gender issues that need re-addressing. 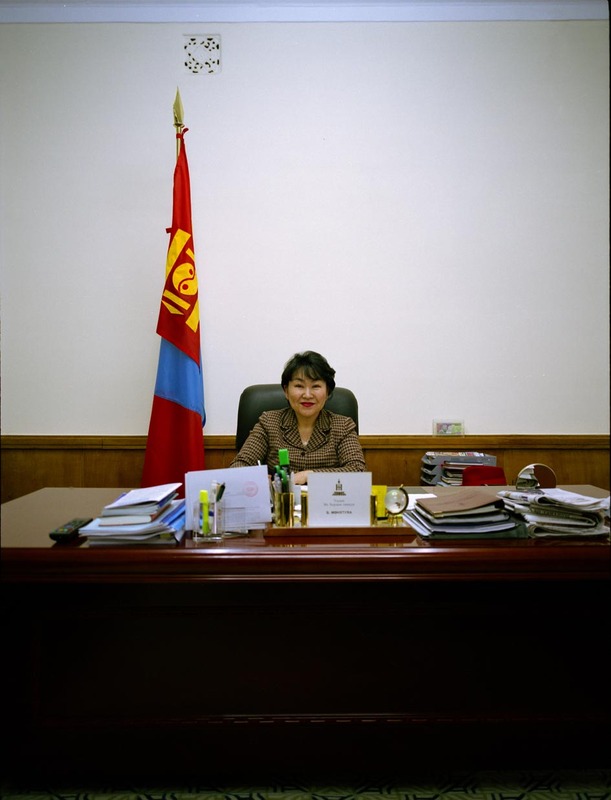 At the time of writing there are 5 female members out of a total of 76 in the Mongolian parliament and 1 female member out of 18 in the government. For the elections next year, a lobby group has been set up to establish a 30% quota of female election candidates. The Gender Gap Index for 2007 produced by the World Economic Forum shows that Mongolia is above average for gender equality in the fields of economy and education and below average for gender equality in politics. The transition also brought about a return to a herding lifestyle for many citizens, as animals, formerly appropriated by the state were redistributed to their original owners. By traditional Mongolian custom the men are given the Ger and the family’s herds, leaving the women dependant on their husbands. As a result of this, many families are prioritizing their daughter’s education over their son’s, seeing it as the best gift they can offer for their­­ future.